In one week I am going to Spain. I would like to go back to Spain. I have changed my mind and in Spain everything has changed but not in the same way that me. I will need On Arrival Training. On 23rd January my friends are coming to Romania. They will be here for one week. I am so excited. We have rented a car to travel around Romania. We are going to visit a lot of places like Bucharest, Sinaia, Brasov, Sibiu, Sighisoara, Hunedoara´s Castle, Peles´s Castle, even Bran´s Castle. I don´t like Bran´s Castle and I would like to go other place which are more beautiful and cheaper. But Bran´s Castle is the star place from Romania and they don´t want to miss the visit. In September, I visited Budapest and I stayed at Zsolt Bandi´s home. He asked me: Do you like Budapest? And my answer was: yes, but I feel I am in Kézdivásárhely. On December 28th is the Holy Innocent´s Day in Spain. Everybody plays jokes. That day, last year, I read an e-mail from Ráduly Attila. The e-mail said: “the project was accepted. We will meet in April”. The first moment, I thought: it is a joke. But later I looked at the date and it was from the day before. Every Tuesday at 6 o´clock in the Gree Sun Association office, I organize the Spanish Club, where I teach Spanish language and my culture with songs and games. It is fun and I like it more then I thought I would. We do some exercises to practice and they make spelling mistakes when speaking, but the result is another word with a different meaning, so they learn double. During the last weeks I have spent my free time studying. I paid dor 2 courses I must finish on 25th November. I studied chromatography, electrophoresis and cellular culture. Besides I had to do all activities for the association and Spanish lessons with a Polish man. I worked hard for 3 weeks, I am tired, I need to take a rest. For that reason this weekend I am going to Iasi. I have already prepared my bag. I looked for a bedroom, the price is 10 euro per night. I am ready to travel. I am going alone. If somebody wants to come with me I would love her/his company. There are a lot of famous people who are implicated with the environment and climate change. They do different campaigns to try to save our planet. They use their popularity, for example: Leonardo DiCaprio donated 20 million dollars to help fight climate change; Hayden Panettiere supports the campaign: Save Whales Again; Edward Norton is a member of an organization which makes sustainable houses called Enterprise Community Partners. 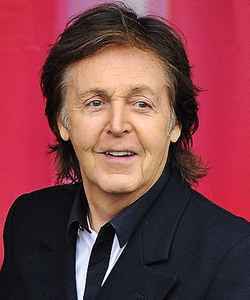 The last environmental campaign is one by Paul McCartney. Two summer sgo, I was in Swanley, near to London, as au pair. I took care of two little girls and one dog. I was so happy with that family but on Sunday Billy died. Billy was like the oldest brother for the little girls. I liked that dog but he was so old. With his death, a lot of memories came to my mind, how he laid down and he sunbathed with me, how he looked for me to be stroked or how he happily barked when the little girls came back from school, but later he needed to take a rest, he went upstairs and he wanted how the girls played. He was another member of the Hamling family. Last week I was in Spain. My father has a shop. I usually help him in the shop. The customers asked me: where are you living? I explained to them that I am doing en EVS project, I work with children, I do sport and I learn English but when I said I am living in Romania... the tone of their voices changed. In Spain, I live in small village, Cuevas del Campo. Every 2nd October, we celebrate Angel´s day. It is a religious festivity. Everybody goes to church. Some voluntaries share out bread. It is a day for enjoying and taking a rest. Everybody dances, sings and drinks.